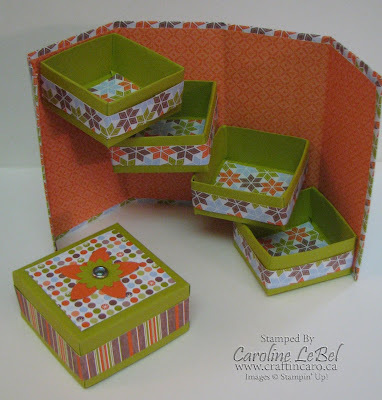 Craftin' Caro: Day 18: Holiday Stepper Boxes & Welcome! 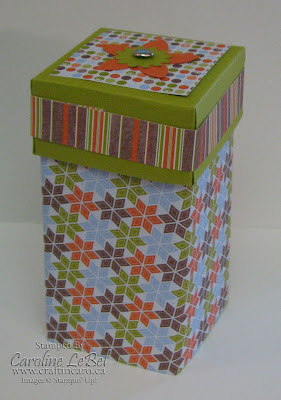 I have pics of stepper boxes sitting in my camera to post on my blog too! Hmmm...wonder where I made 'em??? 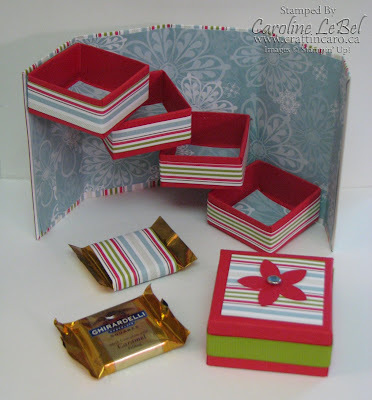 Caroline, I just love your stepper boxes. Is there a pattern for these somewhere so I can try my hand at making one. Thank you. Your blog is really inspirational for me. Sorry about the snow, it's 63 here in Kentucky. Thanks. 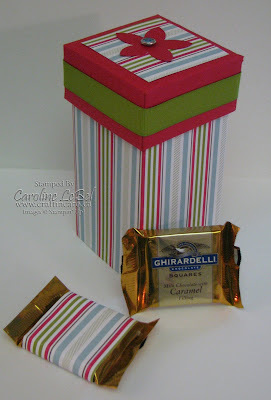 Your stepper boxes are incredible, I just found them. Is there instructions for them somewhere? I would love to try my hand at one. Thank you for sharing your beautiful work.